After a very long dry spell here in Southern New Hampshire, today we finally received a good soaking rain that lasted most of the day. As I looked outside while the rain came down, I could see the colors of the garden coming to life in the soft overcast light. The rain finally came to an end in the early evening, and just as the light was starting to diminish I grabbed my camera to snap a few photos. I happened to have a gray card handy on the dining room table, as I had been working on window-light photos of Melinda’s beautiful scarves earlier in the day. Before I started taking photos in the garden, I used it to quickly set a custom white balance in my camera. I wanted to capture the rich colors around me as accurately as possible. 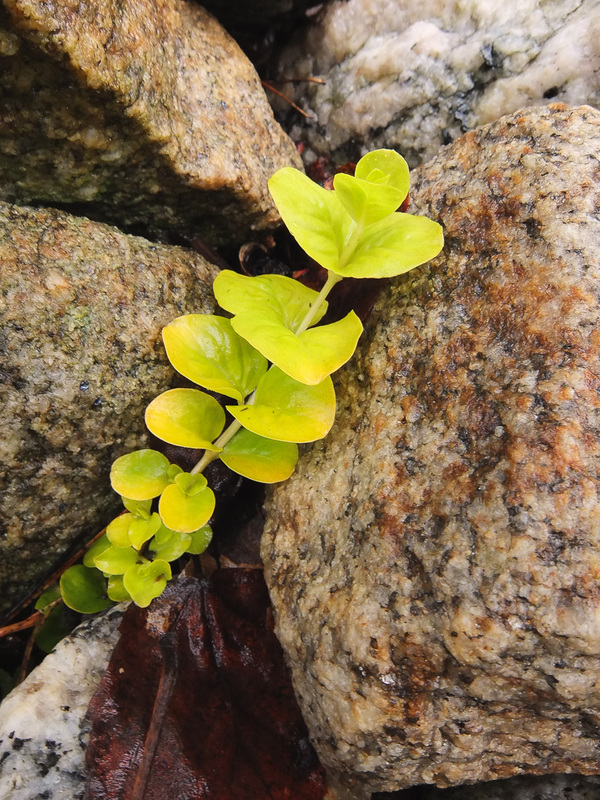 The rain-soaked rocks took on a deeper, richer tone than their normal pale-white look. This made the light green foliage growing around them really stand out. 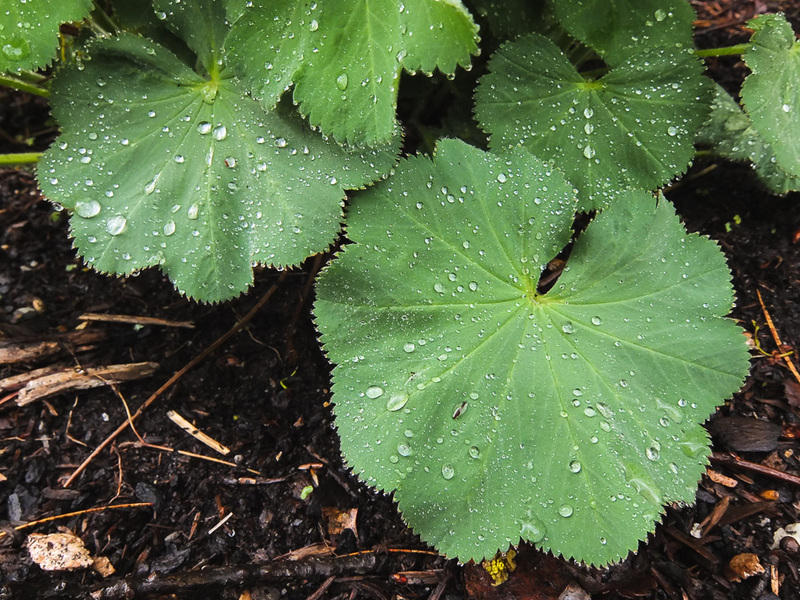 I just love capturing drops of water on the broad-leaf foliage in the garden. 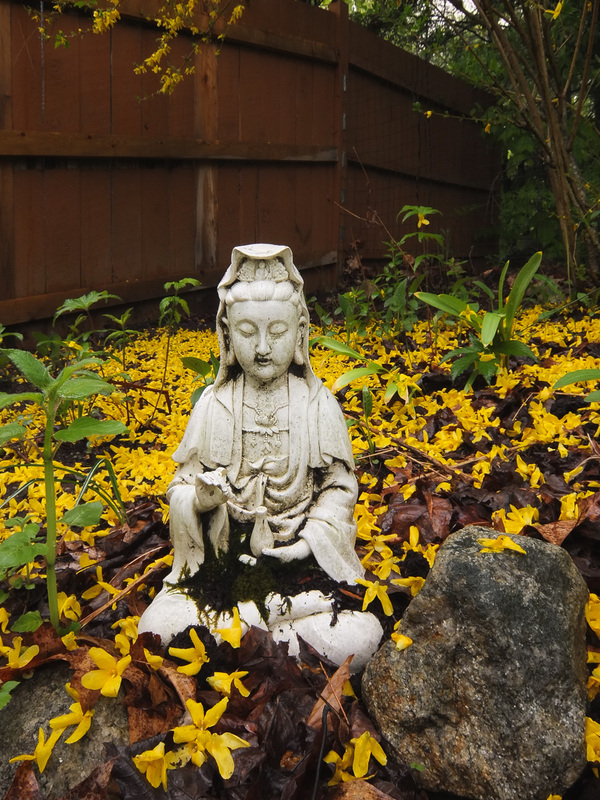 The real treat of the evening was in the back corner of the yard, where I found our Kwan Yin garden statue surrounded by a carpet of forsythia petals that had fallen during the rainstorm. It was a beautiful reminder that such moments are temporary, and that everything is in constant change. Anicca, anicca.